Facing criminal prosecution can be a very scary and confusing ordeal. It seems like the prosecutor has all the cards. Having a former prosecutor by your side can be the ace you need up your sleeve. Jason Thacher spent years honing his legal skills as a former prosecutor, and he can bring the inside track and way of thinking and knowledge of the opposite side that can help you through this difficult time in your life. 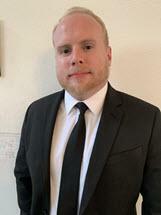 Mr. Thacher learned the strengths and weaknesses of handling criminal cases and criminal procedure from the angle of a prosecutor and therefore understands -down to the nitty gritty- exactly what the other side is after, exactly how the other side operates, and exactly what things can stop them. This life changing experience working as a prosecutor before joining the defense side, brings an immensely valuable set of skills to your legal team in fighting your case. Jason Thacher's training, experience, and knowledge of the opposition's mindset is a critical tool when it comes to defending your criminal case. If you are playing against the other team, wouldn't you love one of their old coaches in your locker room telling you their tactics and secrets? Jason Thacher does exactly that, and much much much more. Jason Thacher spent most of his legal career in litigation, hearings, trials and the court room setting in front of judges, prosecutors and juries. Having taken a large volume of cases to jury trial and verdict he has gained a considerable amount of court room and trial experience and has spent a large part of his legal career focusing on family violence, domestic violence, protection order violations, traffic cases (including habitual traffic offender, DUR/DUS, Careless, Reckless, etc.) criminal and DUI cases. His experience means he knows what works in court, and what simply will not. Mr. Thacher's is a well-rounded and experienced trial attorney. His considerable felony criminal defense experience include but are certainly not limited to: assaults, menacing, drug possession charges, drug distribution, financial and economic crimes to include check fraud, benefits fraud, hunting and gaming cases, and habitual counts. While the list goes on and on, the critical message here is that if you have a criminal or traffic case in Colorado, Jason Thacher is likely the right answer for you as your attorney. Jason became interested in the law during his years attending university. As he spent time working with state legislators in passing laws at the state congressional level, Jason realized how criminal cases could impact a person even before the law is signed. In law school, Jason took an interest in criminal law reform by working with at-risk adults and trying to reform State bail statutes with better mental health considerations. Despite his passion for written law, Jason realized that making academic and political arguments in front of the state congress isn't what he wanted from his career. Jason realized that the best manner of reform and helping his community comes from helping clients improve their lives. So Jason made a commitment early in his career to fight for justice, in negotiating, litigating, and going to trial on cases across Colorado and being the voice of the unheard and abused. When Jason brought that philosophy to the leading criminal defense firm in Colorado, it was an instant connection. We wanted one of the very very best, and we are proud to say we got him. Jason Thacher joined our legal team, and we couldn't be more confident in his skills in protecting you. It matters whom and what you know. By doing diligent and effective legal work across Colorado, in addition to the focused training that he received as a District Attorney and in private practice, Jason developed an extensive network of relationships in the Colorado justice system. This network is a great asset for any client who needs a strong, confident, and tenacious criminal defense lawyer who also understands how the system works and who the important pieces and players are. Jason is a member of the Colorado Bar Association, the Denver Bar Association, and the Colorado Criminal Defense Bar. Hiring a criminal defense lawyer can be a tough decision. When you compare Jason Thacher to your other options, the decision becomes much easier. Of course hiring a former prosecutor gives you certain advantages. That's why we hired him too.